Any built-in or user defined measurement can be added to the fixed probes on the schematic. 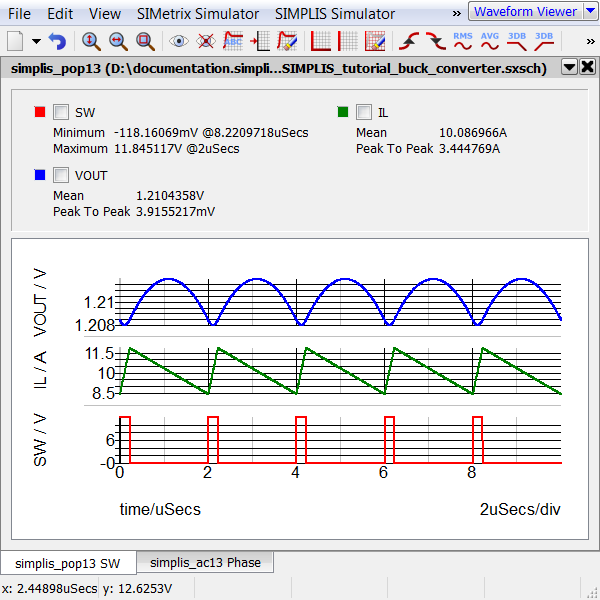 Measurements added to the probes are then automatically executed after each simulation run with the scalar measurement output to the waveform viewer and optionally to the schematic. The full version of SIMetrix/SIMPLIS has this feature enabled by default. This feature is available in SIMetrix/SIMPLIS Elements for a time-limited period using the Unlock Features option. From the menu bar, select Help > Unlock Features... .